Zuster Nelson... my Antwerpen Companion! The first lesson I ever taught was in English the first night I was here. So many people here speak English it's crazy and not good for my progress with Dutch. He is a man from Nigeria I think named Douglas. We have lots of investigators here! One just got baptized 2 weeks ago and since being here we've gotten to extend 2 invitations for baptism. 2 for Oct 26 and one for November. It is awesome! 2 of those investigators are Belgian and so we teach them in Dutch. It's really hard for me to understand them explain their progress but I can definitely encourage them and bear testimony in Dutch! I haven't really done much contacting. We contacted one person in Amsterdam but guess what. She couldn't speak Dutch. Only English! It was a "Best Two Years" moment. 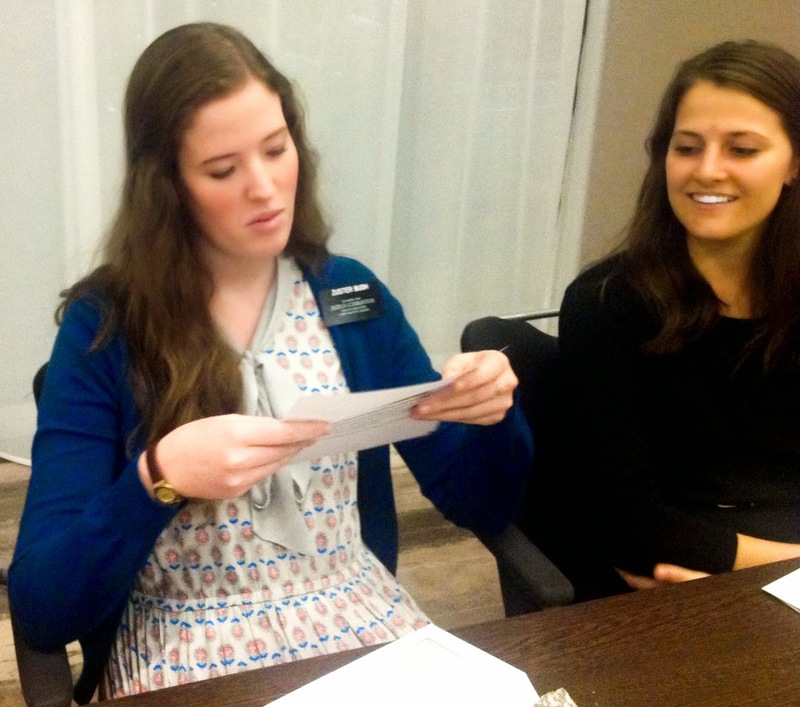 We did go contacting the other day in Belgium but I just observed Sister Nelson do it. She is so good and it's hard for me to not compare sometimes. I got really frustrated the first few days and had a lot of overwhelming thoughts but I am doing better and trying to take each day a step at a time. I did ring someone's bell for their house and talk to them. Told them we were missionaries for the church and that we were wondering if they'd heard about the book of Mormon. They weren't interested and we didn't talk face to face, but I still did that! Little steps are good. Church was so good yesterday!! I was super nervous because my comp said we'd prob be separated the whole time because she'd be going off talking to diff people and making sure everything was fine, but it turned out great! I was invited to bear my testimony and introduce myself. I loved it. Afterwards so many people came up to me and said my Dutch is awesome and made me feel good. haha. 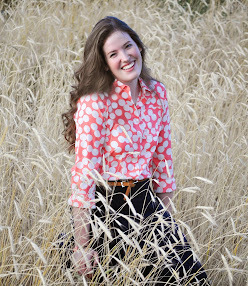 There are some very kind ladies in the ward and I'm excited to get to know all of them. Our investigator Tom who is Belgian and is a Young Single Adult said I did great and looked very enthousiast (enthusiastic). Our bishop is prob 5 feet tall and the counselor is 6' 7. I thought it'd be hard at church because I couldn't understand much but I just wrote down the words I didn't know so I could keep my mind active. Also it helped that the Gospel Principles teacher was Sister Schiltz. Her husband is Belgian but she is from Ireland so she speaks pretty slowly and doesn't do the guttural "g". It sounds like a German G. Super Funny. And that class was easier to understand because it was a class for investigators. . . so very simple principles. For example, the lesson was about how families are Eternal. Perfect for me! Church is definitely different here in another Country, but it is still church and I love it! 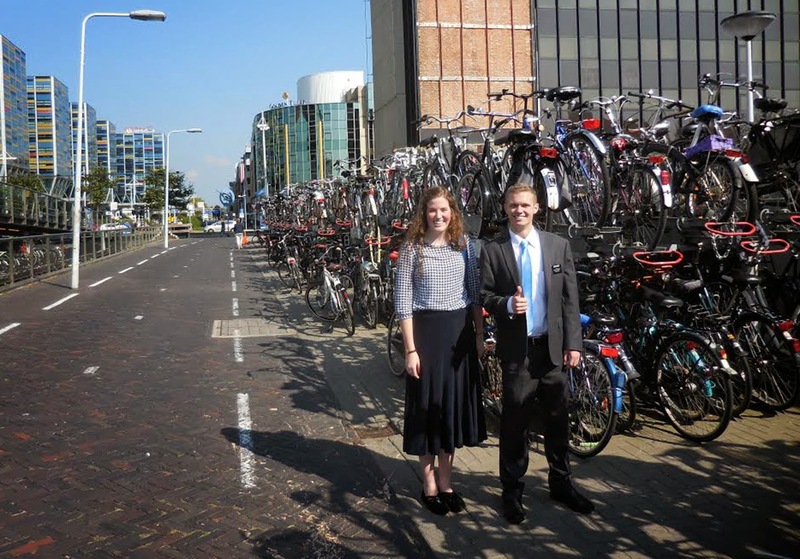 Zuster Bush and Elder Reese... Bicycles! 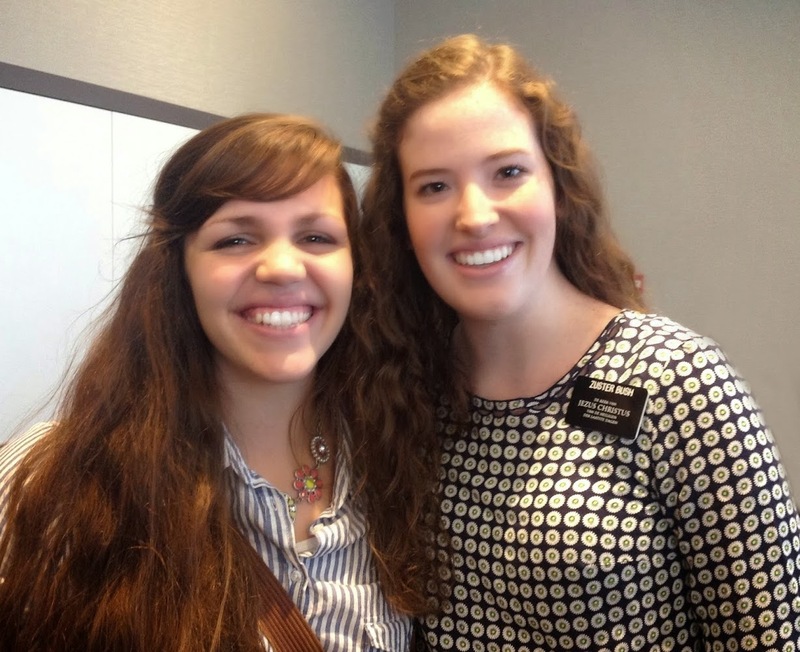 Also Elder Reese is here! My district leader from the MTC. It's nice to have a comforting face here. We traveled from Amsterdam to Belgium together with our companions and it is just so nice to not be the only greenie! We see them a few times a week which is fun. Our area which is one ward has 2 sets of Elders and me and my companion. The Zone leaders are in our ward. They are really nice and we got to know them when we ate dinner Sunday night at the Schiltz house. 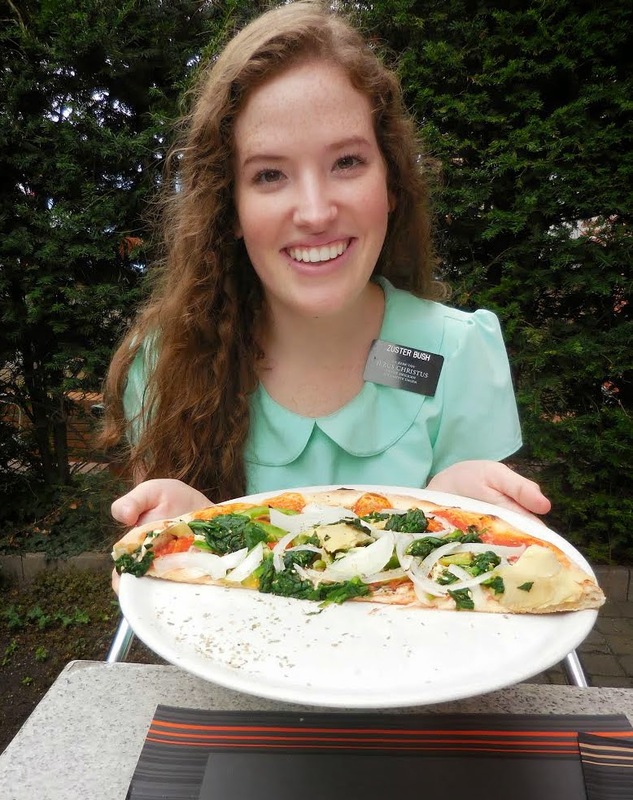 We taught the Schiltz and each missionary got to teach a different part of the first lesson. Also we played hymns and sang. Oh and red currants. Ever had those? Delicious on desserts. and then randomly say English words and phrases in the mix of it. Sometimes people don't talk to me and my collega if they find out we're from America. Or they start speaking in English really slowly to us. I saw a little bit of "Dora the Explorer" in Dutch. There are superrrrrr cute black kids here. I stepped on dog throw up while getting off the tram. Oops. My hair is WILD here. I walk outside and it just gets huge and has so much thickness and waviness. who were so interested that we have a Prophet here on the earth today. because they spoke Flemish of course- everyone on the streets do. But Sister Nelson handled it well haha. Someone asked me if I needed a lift (in Dutch). It was a cat call but I didn't know that obviously. My comp was on the phone as we were walking in the Antweerpen Centrum. so then they said it in English. We stand out so much here it's funny. We get lots of weird looks and stares and I just smile. 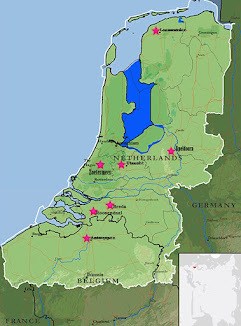 There is a major difference between Flemish and Dutch. The "W" in Dutch is pronounced as a "V". But in Flemish you just say the "W". I have to change my whole mindset and it's hard! I'll get it though. Soon. One awesome conversation starter is my name badge. People see it and then see that I'm from America and ask how long I've been here. I get to say that it's my 4th day, or my first week. That gives me an excuse for poor Nederland. I wonder what my excuse will be after a few months. haha. I love that you ask me questions because it helps me to think faster. We want to know about your flight to the Nederlands and your arrival in Amsterdam. Did all go as planned? Flight went as planned! Super long but fun. 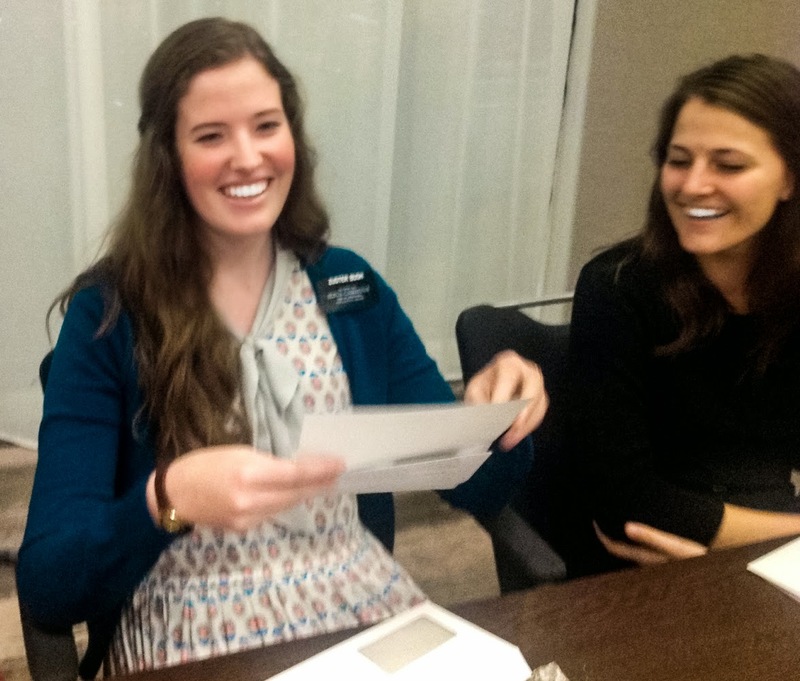 I got to sit by someone new and tell her about the church and give her a pass along card. We finally got there and we were all soooo loopy. We managed to get all of our stuff past customs. The President, his wife, and the AP's were all there to greet us. We had too many people to sleep at the mission house so we just had to walk a little bit to stay in the Sheraton hotel in the airport. Super nice. We had a conference room for the entire day and we chilled there with the AP's and learned about financing and how everything works while we switched off interviewing with the President and his wife. They are so nice. We ate lunch at the hotel. You stand up at these high tables to eat! We had a buffet. Ravioli with lambs meet, crazy sandwiches, and fruit cups with marshmallows etc... Super cool. Then we traveled to Leiden to get our legality pics and papers filled out. We finally got back and were able to sleep for an hour. There were only 2 people in a room and I roomed with Sister Robbins. 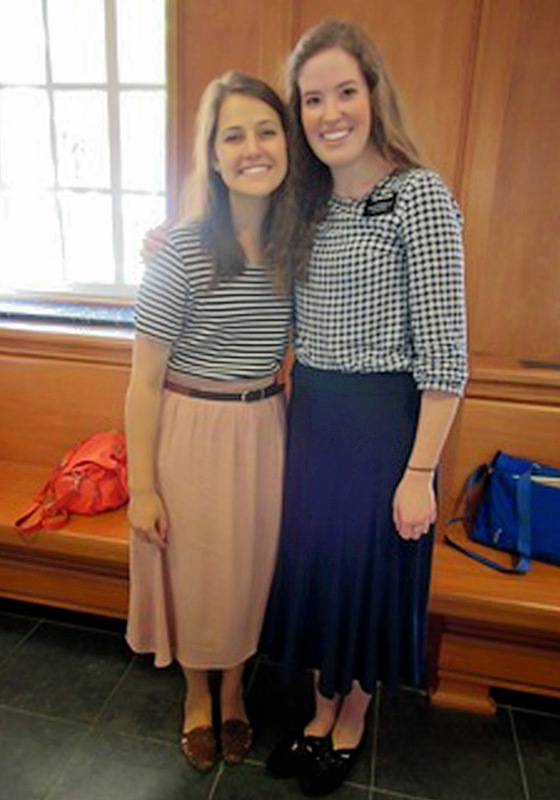 I love that Sister sooo much, but I also missed my dear Sister Watts. Then we got our assignments and heard everyone's testimonies! 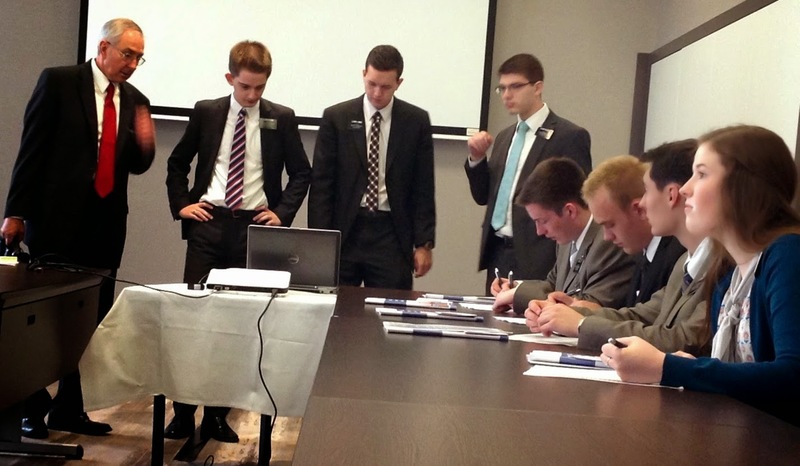 I was SUPER Surprised when I got called to serve in Belgium, Only Elder Reese and I were called to Belgium. Belgium = Flemish my friends. FLEMISH. It's like a different accent of Dutch and they have words they say differently and they speak more slurred together and it's really SO hard to understand. It's awesome that I get to learn it now before being in Nederlands for a while. My collega is a vegan. Ahhh but that's okay. We make super good salads and wraps and we just went grocery shopping today. They have spekuloos which is cookie butter and they do have peanut butter. We buy pita bread and spinach and veggies and GRANOLA IS CHEAP HERE!!!!!!!!!!!! I love granola so much and there is chocolate chunks in it. I am happy with that. 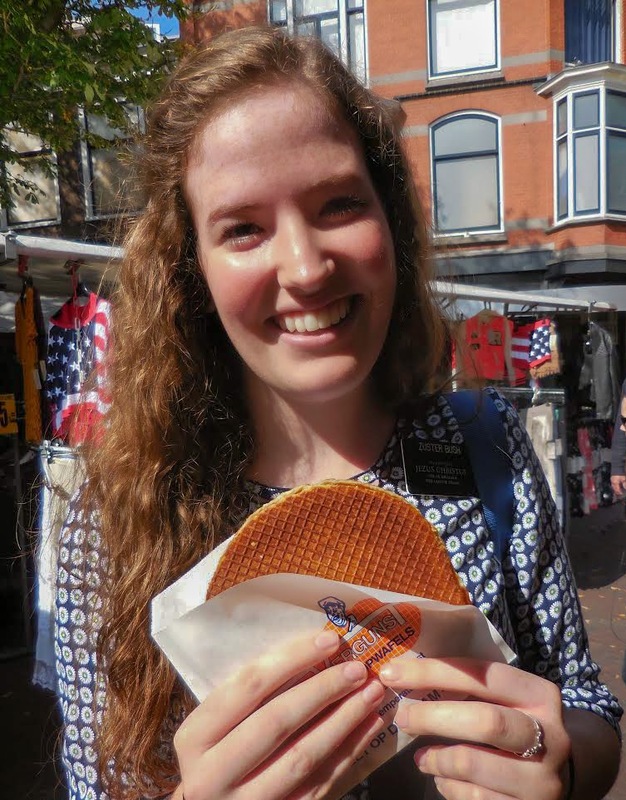 My First Stroop Waffle... Yum! on my 2nd day in Amsterdam before we traveled to Antwerpen. We have had two dinner appointments at the Schiltz house. They are older prob 68 and he is the Ward Family History person. His wife just keeps feeding us and feeding us but I'm fine with that because sometimes we don't eat lunch and other times our lunches involve lots of light stuff like fresh produce and sandwiches and stuff. She makes the BEST mashed potatoes (She is from Ireland) and good chicken- we put applesauce on it. Also dessert is an ALWAYS kind of thing here. Which is great but might be bad for my body. But right now we work so hard I feel like I'll be fine with not gaining weight. Also we work out for 30 min every morning to a workout video kind of like taebo but not as cool. Are you riding a bicycle? No bicycle yet. Trams and Bus and Walking. It takes a lot longer and it's kind of confusing but it's great. We're looking for a bike today. This is my comps last transfer and then she "dies" but she wants to buy a new bike as well. She's gonna take it home! She is gonna take it apart and put it in a suitcase that her parents bring for her. They are coming at the end for 2 weeks. Are you going to buy a Winter coat today? We definitely are going shopping today but I'll see. It was hot the first few days I was here but now it is chilly and will probably just get colder from here. My raincoat is pretty bright colored for the people here, ha ha. Belgium is kind of like New York atmosphere. So diverse and not what I expected. I haven't worn my raincoat yet cause it hasn't really rained but today I'm just wearing a cardigan. We're going to a thrift shop today that has stuff for 3 euros though! I'll try to save my money and get a feel for the kind of stuff they have first. How many live in your apartment? Well our apartment has 2 of us which is fun. Apparently it is smaller and not as nice as the other ones but that's fine. I think it's great. Have a lovely week in Seattle! It'll probably be similar weather to here!